The award-winning film KULEANA began its statewide theatrical release today, Friday, March 30, 2018, at Regal and Consolidated Theaters throughout Hawai‘i. 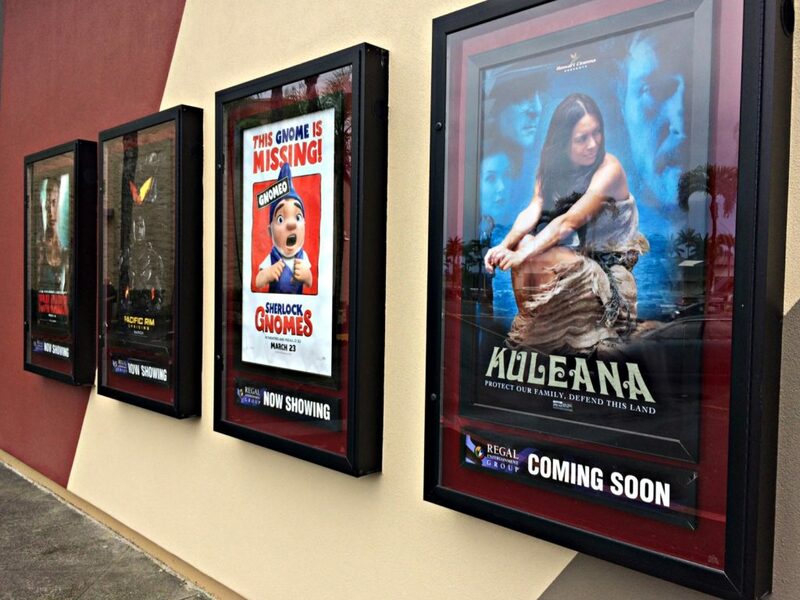 The film opened the Regal Keauhou Stadium 7 at the Keauhou Shopping Center in Kailua-Kona and the Regal Prince Kuhio 9 in Prince Kuhio Plaza in Hilo. Big Island Now attended the noon showing at the Regal Prince Kuhio, where 90 of the 100 seats in theater were filled. Produced entirely in Hawai‘i, KULEANA has received the Audience Choice Award in the Santa Cruz Film Festival, the Maui Film Festival and the San Antonio Film Festival, as well as “Best of Fest” in the Guam International Film Festival. Boasting high production values in picture, performances and music, KULEANA has earned the faith of mainland theater giants Reading International (Consolidated) and Regal, which will also open the movie in Guam. “Kuleana” is the Hawaiian word for spiritual responsibility. In KULEANA, set in Hawai‘i in 1971, a disabled Vietnam vet rediscovers the Hawaiian warrior within to protect his family, defend their land, and clear his father’s name. Kristina Anapau (True Blood, Black Swan), one of the film’s stars and executive producers, is a Hilo-native, now living and working in Hollywood. The film also stars Moronai Kanekoa, Stefan Schaefer, Sonya Balmores (Marvel’s INHUMANS), Vene Chun, Augie T, Marlene Sai, Branscombe Richmond (CHICAGO MED) and Mel Cabang. KULEANA was written and directed by Brian Kohne and produced by Stefan Schaefer. Willie K provides an original score; the soundtrack boasts hit songs by Joni Mitchell, Procol Harum, and Tony Orlando and Dawn, with Hawaiian classics of the era by Genoa Keawe, Lena Machado, Sunday Manoa, Sons of Hawaii, Marlene Sai and more. MAUI TIME, Barry Wurst II: “Brian Kohne’s eagerly awaited KULEANA is a film island audiences deserve but might not be expecting… Ambitious and more absorbing than most 2017 films, [Director Brian] Kohne infuses magical realism, social commentary and Hawaiian history into a dense, busy, but coherent narrative… An original blend of Hawai‘’s history, spirituality and culture. Kuleana introduces a unique new film genre: Hawaiian Noir. While the setting may be tropical paradise, it’s set against a shocking and densely plotted mystery that twists and turns like a Raymond Chandler thriller. THE MAUI NEWS, Rick Chatanever: “This is heady, heartfelt stuff, a vision of Hawai‘i very different from the Hollywood version. While the plot is sometimes convoluted, and the film’s subtleties, including extensive use of Hawaiian language, might not be as resonant elsewhere… KULEANA’s message is universal. It’s a work of powerful emotions, rich imagination, uncommon cultural sensitivity, and performances and production values belying its tiny budget. The film received an MPAA PG-13 rating, and also holds a spot on popular movie review aggregator Rotten Tomatoes. Keauhou Shopping Center is located at 78-6831 Ali‘i Drive, H-24. Prince Kuhio Plaza is located at 111 E Puainako St., #400. Mainland residents can sign up to host/attend a screening in their city at www.hawaiicinema.com via Gathr. Pacific Media Group, Big Island Now’s parent company, is a shareholder in the film KULEANA. The award-winning film KULEANA will begin its statewide theatrical release on Friday, March 30, at Regal and Consolidated Theaters throughout Hawai‘i. KULEANA Writer-Director Brian Kohne told Big Island Now that the film will open at the Regal Keauhou Stadium 7 at the Keauhou Shopping Center in Kailua-Kona and the Regal Prince Kuhio 9 in Prince Kuhio Plaza in Hilo. 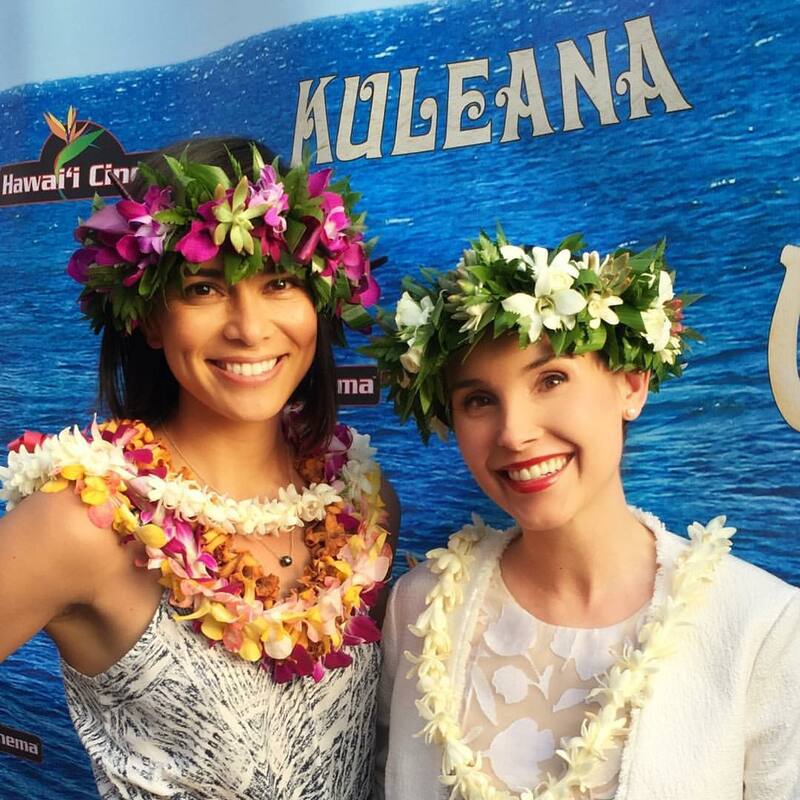 Sonya Balmores and Hilo Native Kristina Anapau at the “Kuleana” world premier at the Maui Film Festival. Courtesy photo. The film was produced by Stefan Schaefer. KULEANA opens on O‘ahu in the Consolidated Theaters at Pearlridge, Kapolei, and also Kahala Mall, where a question-and-answer session with Writer-Director Brian Kohne and star Moronai Kanekoa will follow the March 30, 7:30 p.m. opening night screening, with another question-and-answer following the March 31, 7:30 p.m. screening with other members of the cast participating. The film also opens in the Regal Maui Mall in Kahului and Wharf Cinema Center in Lahaina. Kukui Grove Cinema is a likelihood on Kauai, and Mainland residents can sign up to host/attend a screening in their city at www.hawaiicinema.com via Gathr. Keauhou Shopping Center is located at 78-6831 Ali‘i Drive, H-24. Prince Kuhio Plaza is located at 111 E Puainako St., #400.